The Festival of Thrift returns to Redcar this month, set to be bigger and bolder than before. Taking place from Saturday 22nd-Sunday 23rd September, the multi award-winning festival will return to Kirkleatham to celebrate sustainable living with a packed programme of activities and entertainment. Kicking off on the Friday evening with a launch party and parade, attendees can enjoy music, performers and entertainment galore across the weekend. This year’s theme is sustainable travel so attendees are encouraged to bring their bicycles along. 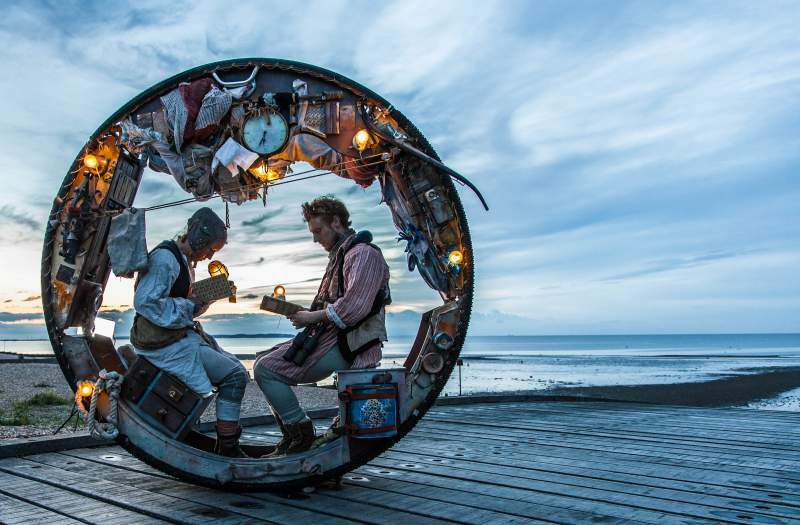 In the Adventure Zone, you can expect to be dazzled by two-wheel-based performances from Bicycle Ballet, Acrojou and Bicycle Boy. Attendees are encouraged to get stuck in, with DIY projects such as go-kart building, plus the Toasting Gate Field will play host to the Solar Stage where you can catch dance and circus performances and workshops. If you’re a film fan, you won’t want to miss the new addition to the festival, Picnic Cinema. The picnic, cinema and camping experience will see Baz Luhrmann’s sumptuous musical Moulin Rouge on the big screen. Alongside the activities, there will be stalls selling thrifty, upcycled and recycled treasures, plus food and drink from the hugely popular The Town Is The Menu.